Small cooking spaces are a challenge to cook in as well as furnish with the proper utensils and equipment. Not only are you dealing with limited countertop space, but you’re also hampered by limited cabinet space. If you’re looking for clever strategies for arranging your small cooking area like a professional, we’ve gathered some wonderful strategies to help you make the most out of your limited space. Cabinets are the main source of storage in your tiny, cramped cooking area. Lucky for you, there’s a way that you can increase your cabinet space without expensive remodeling. You can purchase a wire shelf riser to place in each cabinet. A wire shelf riser is a wire shelf that stands on four stable legs that can be inserted into a cabinet area to give you an extra shelf of storage space within the cabinet. Your cabinetry can provide you with loads of extra storage space for countertop appliances. This is especially true for microwaves. Simply clean out the bottom shelf in a cabinet that is near an electrical outlet, slide the appliance into the empty bottom shelf, and close the cabinet doors. The cord can either be run through the bottom of the cabinet doors or a hole can be drilled in the bottom or side panel of your cabinet to allow the cord to access the outlet. While cabinet space is considered very valuable when you’re working in a small cooking area, it’s easy to overlook how valuable the open space beneath your cabinets can be. While some people install an exhaust hood above their cooking range, this space can be better used to mount your microwave. Using steel mounting brackets, a power drill, and screws, you can create a layered and convenient cooking area while taking up no extra counter space at all. Similar to the above-the-stove method, it can also be installed beneath cabinetry that’s hanging above your countertops. If you have a set of cabinets installed under your kitchen sink, there’s likely a set of decorative drawers that exist between the bottom of the sink counter and the top of the cabinet doors. These drawers aren’t actually drawers but are wooden panels designed to look like drawers for ornamental purposes. If you’re looking to make more efficient use of your limited cabinet space, turn these decorative wooden panels into tilt-out cubby holes that provide additional storage and organizational space. You can do this yourself using a guide that’s available online or you can purchase a kit from a hardware store. When it comes to making the most out of a small space, your pantry will always appreciate the effort. Your pantry is a treasure trove of food items. If you’re like the rest of us, you have a greater peace of mind when you know that your pantry is stocked full of food. Unfortunately, a small cooking area usually means an equally small pantry. To expand the storage space in your pantry, install a hanging pantry rack on the back of your pantry door. Pots and pans are your most essential cooking tools. Your cookware needs to be cleaned and stored away on a daily basis. This means that cookware is stored in an easily accessible place, which is usually inside of cabinets. To give yourself extra cabinet space, install a cookware rack on your ceiling. Cookware racks are strong, decorative, and convenient. All of your necessary cookware will be displayed within arm’s reach while on the rack. Additionally, the open nature of the rack will allow semi-moist cookware to air dry while being hung and stored. In order to keep your kitchen spacious and functional, you can put small items and appliances that you don’t use too often in a drawer inside one of your cabinets. 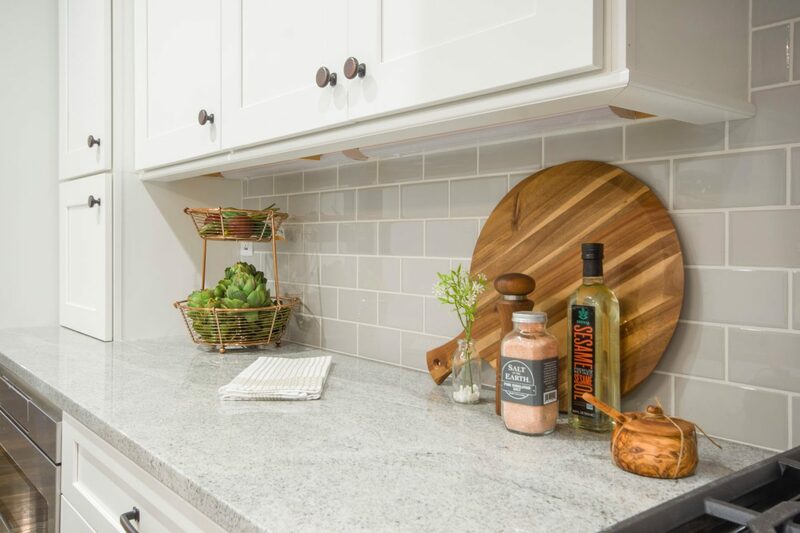 This is a quick and easy way to free up precious countertop space and make your kitchen look larger and allow you to move freely while cooking or entertaining. The trick to arranging your cooking area is to understand how to effectively organize your appliances and make your space more open so you have room to cook and prepare meals. Some available room you may not even be aware of is the open space above your sink. There are special shelving units you can purchase that will stand above the back of your sink and provide you with extra storage space. These shelving units usually possess plenty of open space beneath the shelves to allow you to tuck bottles and plants beneath the shelves while using the top of the shelves to hold and store other items. The best part about these shelving units is that they don’t deprive you of the ability to fully use your sink. A fold-out table is one of those cooking area additions that has many conveniences and uses. It can be used as an eating surface, food preparation surface, storage surface, or a work/study surface. Once you no longer need the table, it folds down and hangs perfectly against the wall. This frees up valuable space for the rest of the day that would normally be taken up by a table that’s not being used. Your refrigerator takes up quite a large portion of your overall cooking area. You can’t get all of this area back, but you can make the most out of the area beside and above the refrigerator. The narrow area between your refrigerator and the wall or cabinetry can be cleverly utilized by installing a rolling pantry shelf. This shelf is stacked vertically and pulls forward. If the area between the wall and your fridge is too narrow to fit a rolling shelf, utilize the space above the fridge by installing a set of shelves or extra cabinetry. Toe kick drawers are extra drawers in your cabinetry that are placed in a cabinet section that would normally be wasted. The area of your cabinetry below the main cabinets, the part of the cabinets that are on the floor that can be kicked by your toes, is generally occupied by a simple decorative wooden panel. Installing a set of toe kick drawers that span the entire length of your cabinetry will provide you with an abundant amount of extra storage space while maintaining cabinet integrity and stability.